Better they assimilate the concepts through play and fun dynamic, and well known that one of the best ways to learn is by playing. With this in mind, GoBox aims to introduce children to the world of programming and robotics. This is the kit for developing a robot that works through a subscription service, so that the user receives each month from his home everything needed to carry out an update of a project. The first installment includes a Raspberry Pi and materials to manufacture the car GoPiGo and assembly instructions and programming. GoBox allows children to learn the concepts of robotics from the beginning, so that this first project is easy to follow. It provides a simple introduction to programming languages and the vehicle can be programmed with Python, Scratch, and Go, and there are some users who have used Windows 10. The following monthly deliveries, GoBox provides new components and accessories to add more complex updates to GoPiGo, including a 5 megapixel camera, motion sensor, light sensor, ultrasonic sensor, infrared sensor and LED lights, plus instructions to assemble and program the new elements. 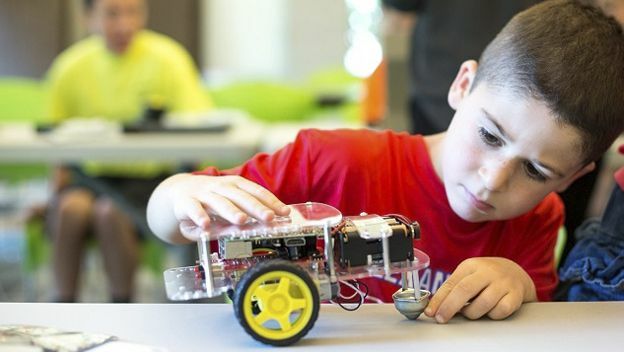 The creators of this initiative for children to learn programming and robotics have launched a campaign on Kick starter to fund their collectible service and grossing more than $ 60,000 have already doubled its economic objective, which was $ 30,000. On page of the crowd funding platform you can buy the first installment for $ 90 a six-month subscription for 95 twelve deliveries by 189 and the entire collection for $ 209. Sending orders begin in December this year to destinations around the world.